If there is one cycling holiday that every cyclists should take during their lifetime, it would have to be Cycling the Garden Route in South Africa. A magical journey on two wheels, it starts in the friendly city of Port Elizabeth and continues all the way to Cape Town covering some 750km over 7 days. 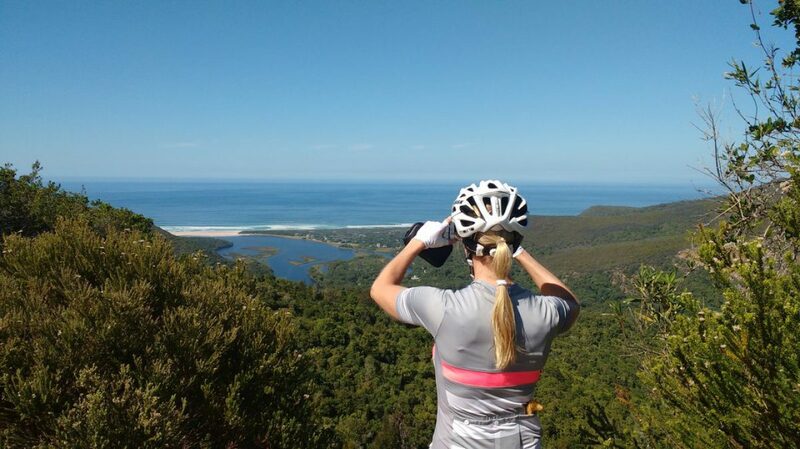 Aimed at experienced cyclists who are happy to spend up to 6 hours per day in the saddle, cycling the garden route is definitely demanding, but when you combine great cycling with beautiful scenery, fabulous accommodations, group dinners in local restaurants, and full vehicle support, it makes for an unforgettable cycling holiday. The actual route that you will take when cycling from Port Elizabeth to Cape Town (or vice-versa) varies from operator to operator, but you need to cover the full 750km if you are to say that you cycled the Garden Route. Shorter versions just don’t count, so check the itinerary before packing your bike box! Having tried and tested several route variations, we’ve come up with what we think it the best Garden Route Cycling itinerary for road bikers, and as our pre Cape Town Cycle Tour Garden Route Trip sells out months in advance year after year, we will now be offering this tour with fixed monthly departures from November 2019. Below is a brief overview of our Garden Route Itinerary. We use only high-quality accommodations, so you have somewhere comfortable to relax after a full day on the bike, all meals are included from dinner on day 1 to lunch on day 7, and there are plenty of sightseeing opportunities along the way. Are you ready to cycle South Africa’s Garden Route? Find out more!